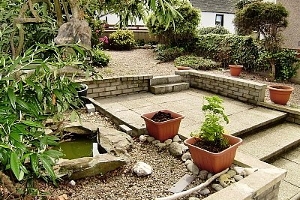 Whitehills Cottage Information about our self cattering cottage. 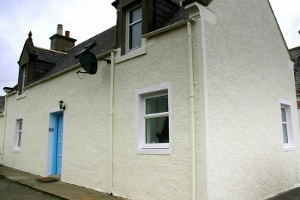 8 Low Shore, Whitehills is a typical North East Scottish fisherman's cottage. It was built in the 1880s and retains many of it's original features such as the inglenook fireplace in the dining room and the Victorian fireplace in the lounge. 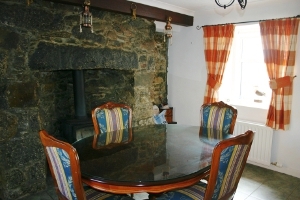 The cottage is situated on the seafront and there are views of the sea from most windows. 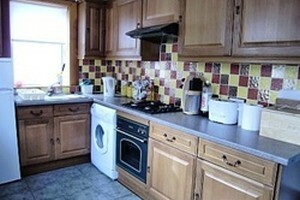 The cottage has full central heating and satellite television. There are spectacular views of the sea from the lounge. 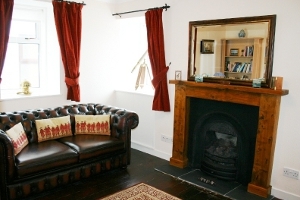 The comfy chairs are placed around the feature original Victorian fireplace, perfect to snuggle up to with a good book. The fire is a real flame gas fire, so a real fire at the touch of a button and none of the mess! You can also watch satellite television on the 32" LCD screen for a quiet night in. There is also a faux leather footstool which folds out into a double bed. Upstairs are two comfortable bedrooms. 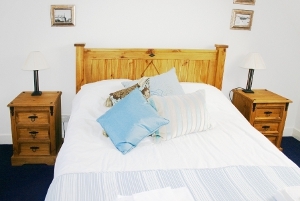 The first is a double bedroom with an attractive wooden king size bed. 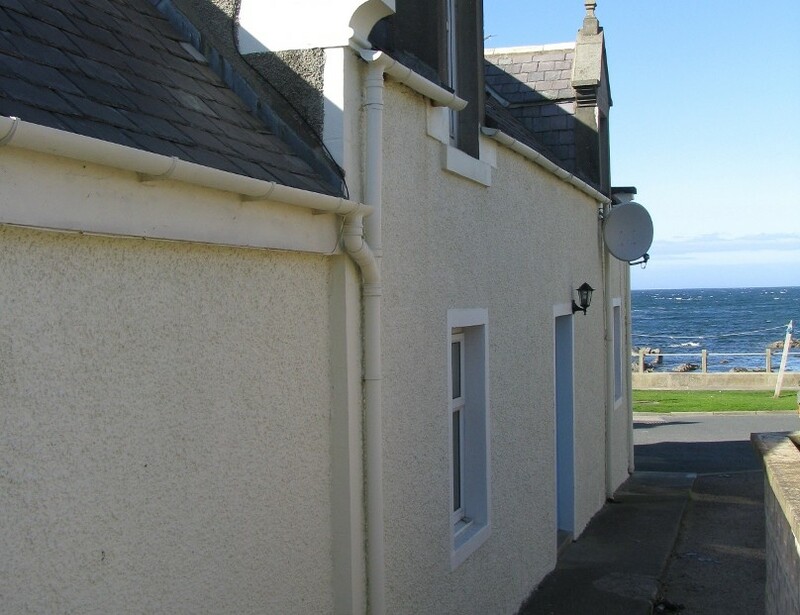 There are two windows on either side of the bedroom with views of the sea and on a warm summer's night the waves can be heard breaking on the shore. 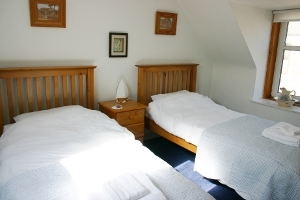 The second bedroom is a twin bedroom with two single beds. The wooden furniture compliments the seaside setting and once again there are two windows that look out over the sea. The pictures and ornaments follow a seaside theme such as the boat bedside lamp.